This graph shows the official results of the electoral votes won in the 2016 presidential elections in the United States. 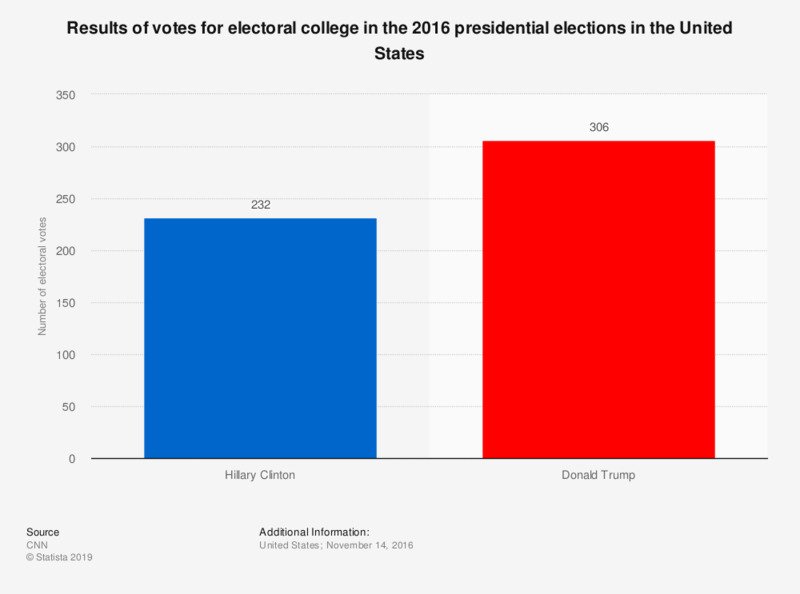 Donald Trump won the election with a 306 votes in the electoral college. His opponent, Hillary Clinton conceded with 232 electoral votes.